We're finally finishing up the great move home today. We're headed off shortly to get her furniture and what's left of her things. Her "new" room here is ready but it will probably be another week before we have her really settled. So much of her stuff is still living in my office! Very bummed not to have been able to participate in the Dewey's 24 Hour Readathon this weekend. It really always is one of my favorite things about blogging - planning a pile of books to choose from, choosing special snacks for the day, and all of the blogger interaction that's a part of the event. But yesterday was also the annual Omaha Lit Fest (more on that later) and I knew I could not be sleeping through today to make up for staying awake all night. Already planning to clear the calendar for the spring event! 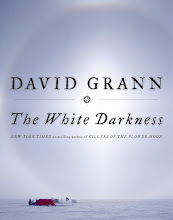 Listening To: Catching up with the NPR Books podcast, listening to an episode of RadioLab about American football, and this week I will listen to the Slate podcast discussion of All The Light We Cannot See as prep for this week's Omaha Bookworms discussion. Watching: The Theory of Everything and Draft Day late into the night last night, thanks to free HBO. 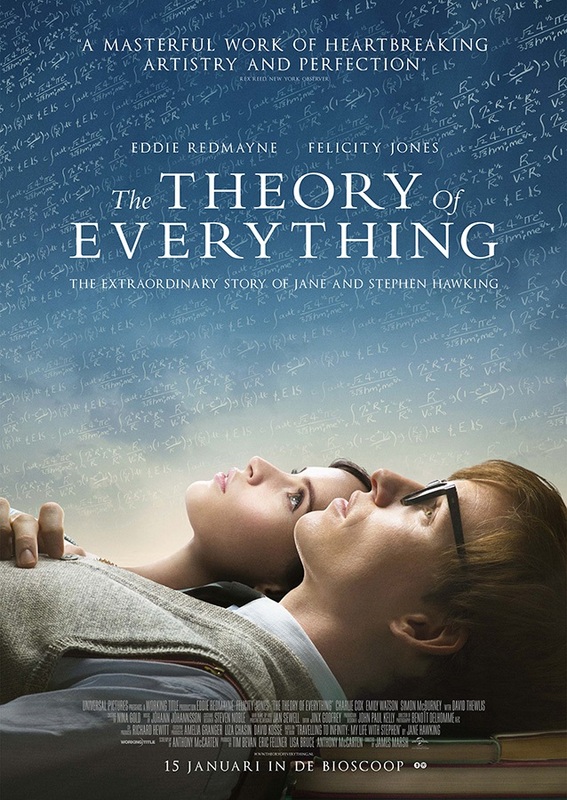 We liked both of them quite a lot and could definitely see why Eddie Redmayne won the Academy Award for his performance of Stephen Hawking. Reading: I raced through Homer Hickam's Carrying Albert Home for an upcoming TLC Books book tour this week. Sneak peek - loved it! [Not much of a sneak peek when the review already posted, huh?] 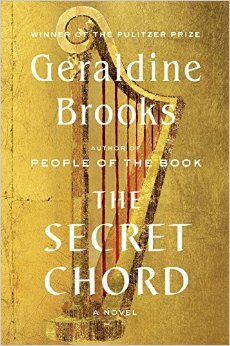 I will finish All The Light We Cannot See in the next couple of days for book club and then I'll get back to The Secret Chord. Making: Snickerdoodle cookies, pasta salad, pork tenderloin, fried apples, and oven-dried tomatoes. The Big Guy has actually done most of the cooking lately; he gets home first and must be hungry when he hits the door. Planning: A birthday weekend trip to one of my happy places - Les Bourgeois winery in Rochefort and Columbia, Missouri. We'll do a little shopping, have some Shakespeare's pizza, talk a lot, laugh even more and drink our fair share of wine. Grateful: To be done with the actual moving. For now. You know, I'm sure that we'll be moving at least one of these kids again in the next six months. I can't wait. Can you sense the sarcasm? Enjoying: Books! I've been reading so many good books lately. Feeling: Tired. It's been busy around here lately with all of the packing and moving and other life things going on. Looking forward to: Book club. Which as this posts actually happened two days ago. But still, on Sunday, I was really looking forward to talking about All The Light You Cannot See with my ladies! If you've ever read Daniel Wallace's Big Fish or seen the movie it inspired, you have some idea what you can expect with Carrying Albert Home. 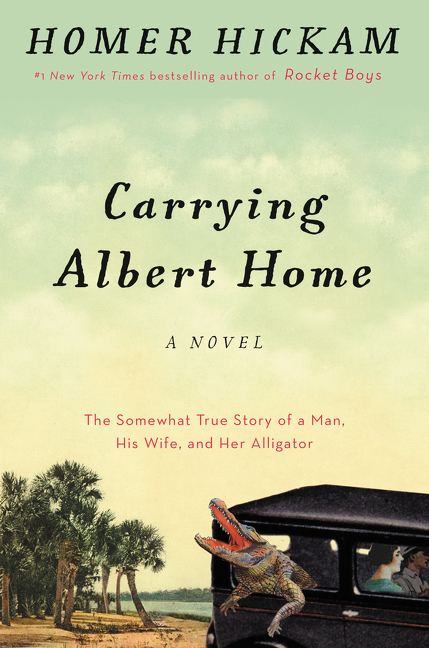 Quirky, a bit fantastical, and loaded with larger than life characters, Carrying Albert Home is the absolutely charming "somewhat true story of a man, his wife, and her alligator." 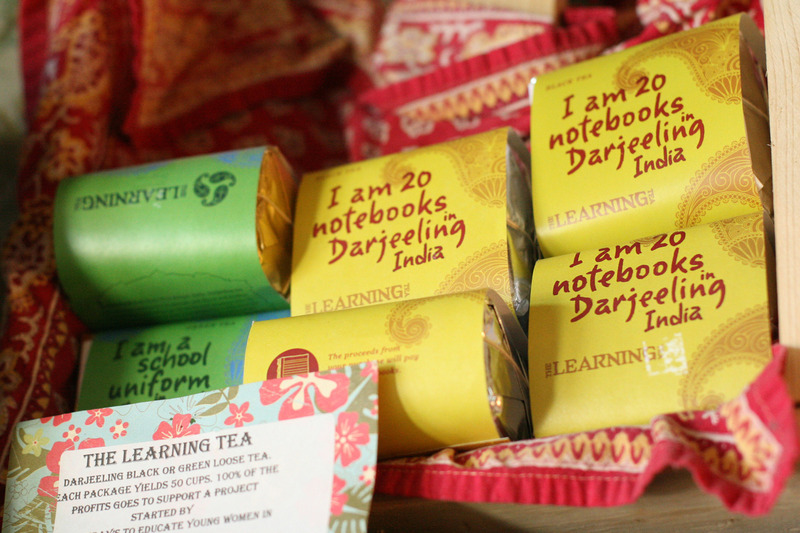 It's also the story of how a woman learned to love her husband and make peace with the life she'd chosen. It is sweet and sad and, did I mention, charming. When Homer Hickam Sr. agrees to travel to Florida to carry Albert home, he imagined a two-week trip from West Virginia - straight there, straight home. He was, after all, a miner with a home and the only job he could imagine ever having. Elsie, on the other hand, sees this as her chance to get out of West Virginia for good, with or without Homer. 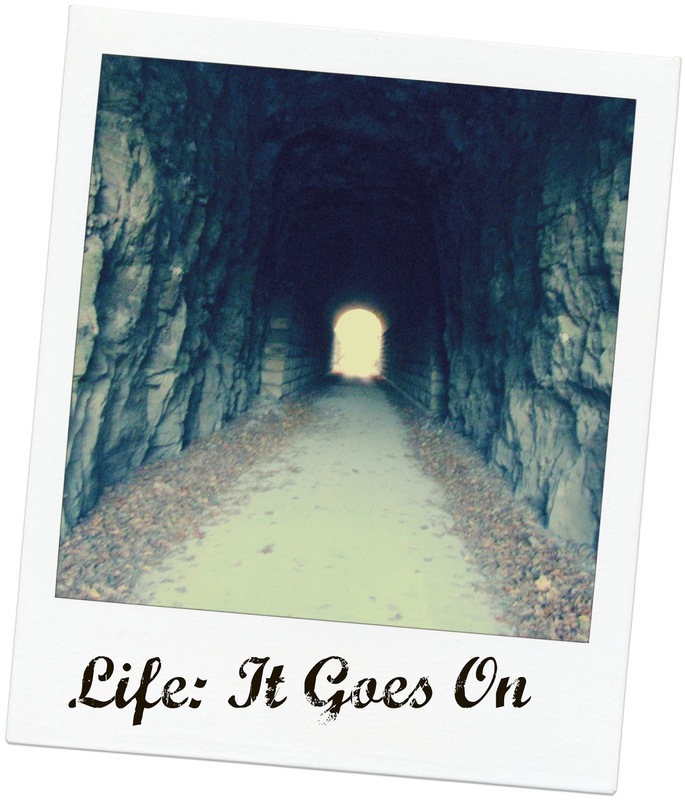 She has never gotten over Buddy and spending the rest of her life in a coal town is not in her plans. Along the way they pick up a rooster who befriends Albert, get caught up with union strikers, become movie actors, become a nurse and a baseball player, fly an airplane, get caught in a hurricane, and meet John Steinbeck and Ernest Hemingway. At least, those are the stories his parents told Homer over the years. Homer never knew whether or not they were true, but those stories taught him more about his parents and their relationship than all the years of watching them together ever had. Thanks so much to the ladies of TLC Book Tours for including me on this tour. For other opinions about Carrying Albert Home, check out the full tour at TLC Book Tours. 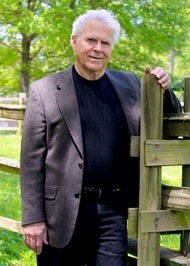 Homer Hickam (also known as Homer H. Hickam Jr.) is the bestselling and award-winning author of many books, including the #1New York Times memoir Rocket Boys, which was adapted into the popular film October Sky. A writer since grade school, he is also a Vietnam veteran, a former coal miner, a scuba instructor, an avid amateur paleontologist, and a retired engineer. He lives in Alabama and the Virgin Islands. Find out more about Homer at his website, and connect with him on Facebook and Twitter. I highly recommend the movie October Sky, if you haven't seen it. 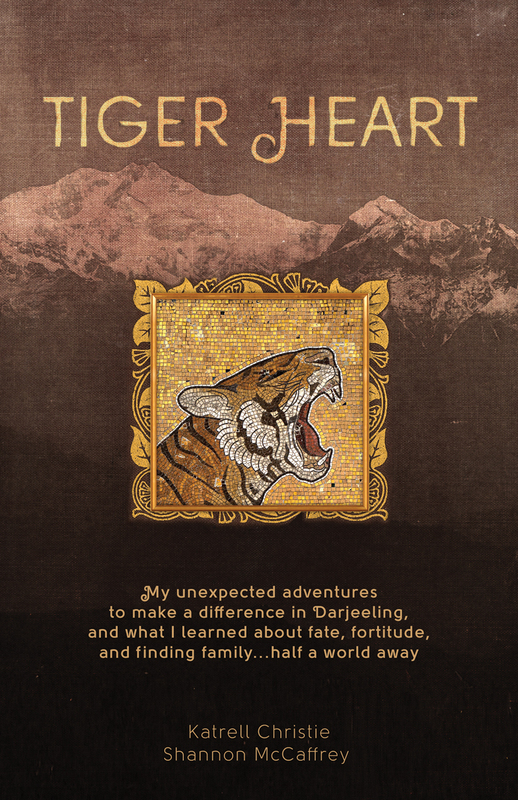 I'm certainly hoping Hickam has more personal history he'll share with readers soon! 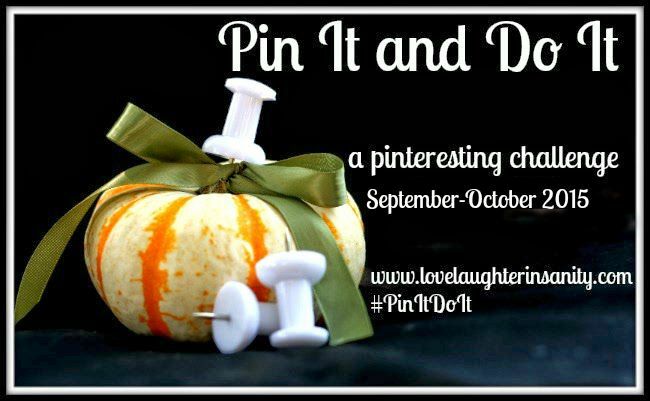 Y'all know how much I love when Trish (Love, Laughter, and A Touch of Insanity) hosts the Pin It and Do It challenge! She hasn't done it for quite a while (it being a lot of work for a working mom with two littles) so I was excited to see that she had decided to bring it back again this fall and it prompted me to open up my boards to see what I could get to this fall. Books To Read: I will have knocked off several books from my Books To Read board before the end of this month, including Jojo Moyes' After You, Geraldine Brooks' The Secret Chord, Stewart O'Nan's Last Night At The Lobster, and Margaret Atwood's The Heart Goes Last. It would probably be unfair to say that the challenge prompted me to read any of these since I was already planning on reading them this fall. Still...they were all pinned! Fall/Holidays: A simple thing - I just filled a vase with a candle and yellow popping corn and tied my candle with some raffia. I actually had this pinned in several variations. I guess I must have liked the idea! 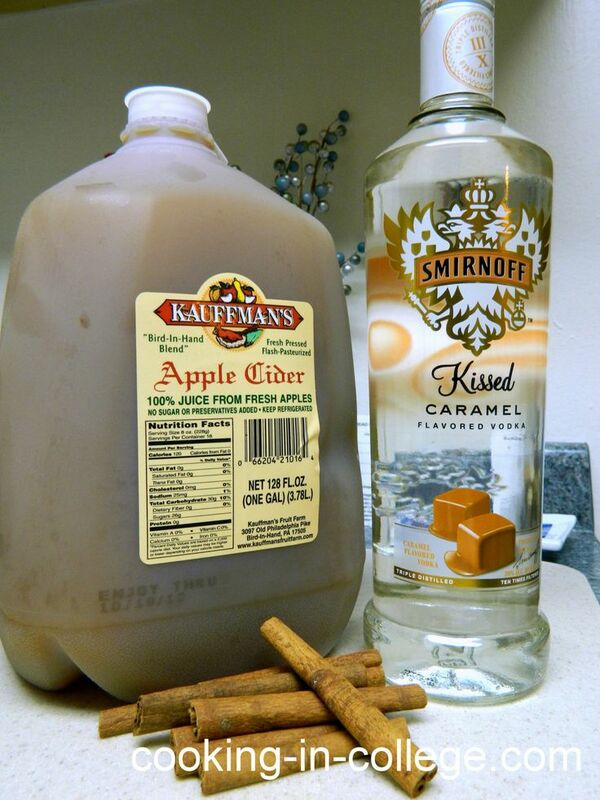 Drinks: It being fall, it was time to buy some apple cider. Since I already have caramel vodka, we made some hot cider with caramel vodka one night. I also used the caramel vodka in lieu of caramel sauce to make to make both salted caramel hot cocoa the night I watched the lunar eclipse and caramel apple sangria, both of which I had also pinned. Texas Roadhouse Butter was a bust but one we will try again with some changes. The recipe called for sticks of butter but if you've had Texas Roadhouse butter, you know that it is fluffy. So when we retry it, I'll be using whipped butter as my base as well as reducing the honey by about a third. Hot caprese dip was a total fail. The cheese did not melt at all the way the recipe said it would. Maybe a different brand of fresh mozzarella would have worked better but I'd rather just turn it into salad which I know we all love. Crockpot lasagna soup would probably have been just fine if I had read the recipe through before I started or if I had even been thinking. The recipe calls for all of the ingredients to be cooked for 4-5 hours on high and then adding the noodles. Yeah, I just threw it all in at once, including the noodles. To say they were mush would be an understatement. It's definitely a recipe I will do again. Texas Trash dip, on the other hand, was a huge success. It did make a full 9" x 13" pan so I'd probably cut the recipe in half if I make it again and have a lot of other things with it. The plus side of the huge batch was that we nibbled it all through Sunday football games and I even took some for lunch on Monday. Good thing we liked it! Caramel Apple Cake was another recipe that I will tweak but will make again. It called for a can of caramel frosting but that seemed to be too sugary. I'd either top it with caramel ice cream topping or make my own caramel frosting the next time. Refrigerator Sweet Pickles was another hit. It turned out exactly the way the recipe said it would and everyone in my family liked them. I could chop them up to make pickle relish, we put them on sandwiches and ate them all by themselves. I would like to figure out a way to reduce the number of seeds in them (grow seedless cucumbers, maybe? ), otherwise, this is one we'll definitely do again next summer. Best part of the recipe is that you can keep adding new cucumber slices to the brine as you use pickles up so you can constantly have a full batch. All in all, a successful Pin It and Do It challenge, I'd say! 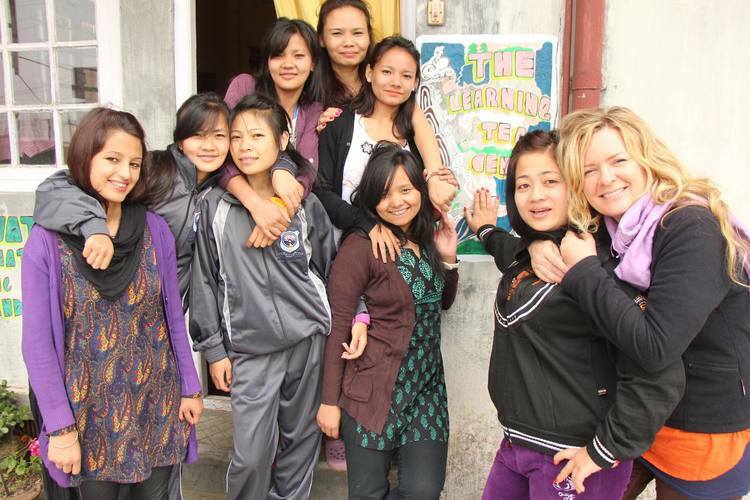 Thanks, Trish, for pushing us, again, to not just think about what we'd like to do but to actually do it. After I finished "reading" Room the other day, I wasn't in the mood to start a new audio book so I decided to try to catch up on some podcasts. I don't get to listen to nearly as much NPR as I used to so I download the podcast for NPR Books to catch up on all of their bookish news. Which probably isn't news any more by the time I listen to it but it's still interesting. Periodically I do have to go through and delete some of them or the sheer number of podcasts I have to listen to overwhelms me but I make sure to keep those that are about books I've read, books I'm interested in reading, or award discussions. Many of them are no more than 4-10 mins which means I can knock off quite a few in one day, especially an errand day, like yesterday, which means a lot of time in the car. It also means I have to spend a lot of time moving from one episode to another which might be a little dangerous for the drivers around me. Sorry, guys! 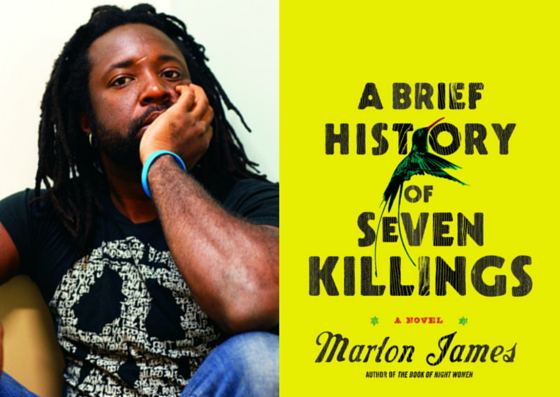 Yesterday, I listened to Paula McLain talk about Circling The Sun, Ruth Reichl talk about writing about cooking, Andy Weir give his thoughts on the movie adaptation of The Martian (he loved it), and Marlon James talk about winning the Man Booker Award as well as Maureen Corrigan's review of Lauren Groff's Fates and Furies (she had mixed feelings). I'm in the midst of listening to a Terri Gross interview of Mary Karr. Karr has written a new book about writing memoirs (she has written three and teaches a course about writing memoir). Karr has me both fired up to try my hand at it. I think of my life as quite ordinary most of the time but everyone has their own trials and adventures and my life is no exception. With National Novel Writing Month (NaNoWriMo) coming up, I've been thinking a lot about writing lately. Every November I think I'll give NaNoWriMo a shot and then every November I remember that there is already so much going on during the month. I have no idea where I would find that kind of time. With two kids back home there is more cooking to be done, more laundry to be done, more interruptions in my day. And there are books to read and the holidays to get ready for. Still...I have always wanted to be a writer and there are all of these ideas percolating in my head. Maybe everyone on my shopping list will just get a first draft of my first novel for Christmas. Hmmm. This could work! 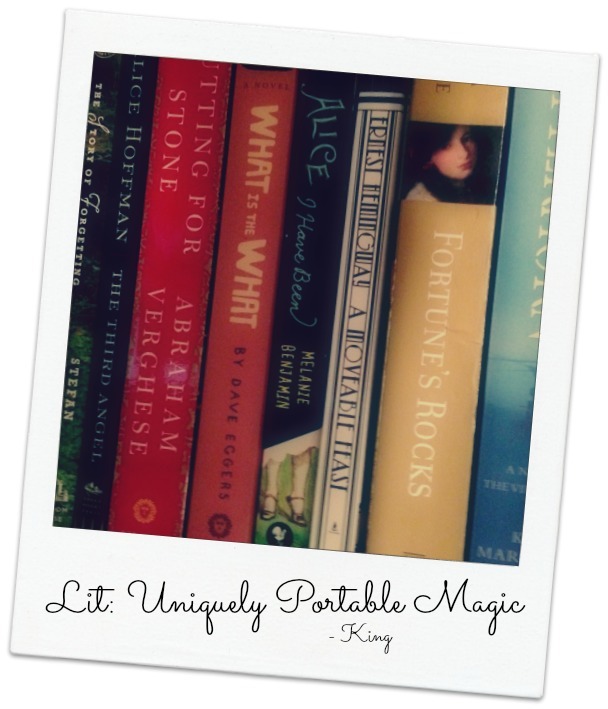 If you're a podcast listener, what's your favorite bookish podcast that I should add to my playlist? Mary Shelley lost her mother only days after she was born. It was not the recollection of her mother that shaped Mary's life but rather the shadow of who her mother had been that influenced Mary's life in ways both good and bad. It drew some people to Mary and her family and caused others to shun them. William Godwin's radical writings had much the same effect on the family. Her parentage resulted in an extremely bright young woman, with radical ideas and a strong will. Percy Shelley was four years older than Mary and married when they first met but two years later, when she was just sixteen, they became lovers and eloped to France and then Switzerland to be together. Young Mary, one would think, imagined that their life would be a dream but from the beginning things went awry. Percy consented to allow Mary's stepsister, Claire, to accompany them; they ran out of money long before they reached Switzerland and were forced to walk much of the way; and, eventually, the trio was forced to return to England where they were ostracized by their families. Those first few months symbolized Percy's and Mary's lives together. They often lived with high hopes and, once Percy's grandfather died and he came into his inheritance, money was much less an issue. But Mary, who professed to believe in "free love," only ever truly loved Percy and his constant affairs with other women wore heavy on her heart. Her battles with depression after the lose of four of their five children were unbearable for Percy and tended to drive him away. They lost both Mary's sister and Percy's wife to suicide and were never able to mend things with Percy's father. On the other hand, they lived life largely on their own terms, surrounded by the top literary figures of their time, including Lord Byron. Mary Shelley is most famous for working arduously to bring acclaim to Percy's poetry after he died and for her novel Frankenstein; or a Modern Prometheus but she was actually a prolific author in her own right and had much more success during her life that did her husband. It's true that Frankenstein was the result of a prompt by Lord Byron on a rainy evening when their group was shut inside but the story was one that came about as the result of a number of previous inspirations, as imagined by Ms. May at any rate. It was Mary's first novel and brought her fame, after it eventually came out that she as the author (the book was originally published as having an anonymous writer as it was felt that the public would not accept a scientifically based book written by a woman). There were times when the book felt repetitive and others when it felt like May had included to much detail. Perhaps a tighter editing of the book would have worked better for me. Still, I enjoyed learning so much about the writers of the time, not just the Shelleys and my heart broke for the little woman whose own darkness was reflected in her most famous work. As with all novels based on fact, as soon as I finished this book, I started researching Mary Shelley to see how much of the novel was based on fact and was surprisingly pleased to find that May had done an excellent job of sticking to the facts as they were known. Jon Clinch takes us on a journey into the history and heart of one of American literature’s most brutal and mysterious figures: Huckleberry Finn’s father. The result is a deeply original tour de force that springs from Twain’s classic novel but takes on a fully realized life of its own. Mark Twain's Huckleberry Finn is one of the most memorable characters in American literature. His father, Pap, plays a minor but significant role in Twain's book; in a bit of fan fic, Clinch has imagined here a fuller life for the man. A much darker one than Twain might have written. Clinch does a great job of taking the details about Finn that Twain provided, incorporating other characters from that book, and giving Finn a full history, as well as providing a fuller background for Huck. It has less of the tongue-in-cheek humor of Twain but retains the colloquialisms and essential tone of the source material. For me, this was helped immensely by the fact that Mel Foster sounds so much like Hal Holbrook (who played Twain for years). Where Clinch really veers away from Twain, though, is in the almost Cormac McCarthyesque brutality of the novel. Finn is not just a man made angry by his drinking and his circumstances, as envisioned by Clinch. He is a brutal, amoral, murderous alcoholic, although he is not one-dimensional. Clinch envisions him as a boy who was, as they say, a handful, a boy they found hard to love but who also seemed not to need them as much as his brother did, a boy who would grow up to be a man constantly seeking his father's approval. 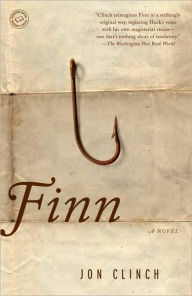 Which makes it hard to thoroughly hate Finn despite his heinous actions and which makes him a man worth reading about. Seems like I just did one of these. Oh, wait, I did! Can't say there's a lot to report since then but just to get back on track, I'll play again. Playing catch up this weekend - instead of my usual chores on Thursday, I went and played with my newly retired friend. So fun to have someone to hang out with in the middle of the week. We hit up the outlet mall and happy hour and laughed a lot. Good for the soul. Not so much for the carpet that needed to be vacuumed! Miss H has been around all weekend so we've had a lot of girl time. She brought a load of stuff back home on Friday so a good chunk of time has been spent find all of that a new home. It sure can't go back where it came from since her room is my office now! I'm already missing having a guest bedroom and bathroom. Good thing I like these kids. Listening To: I'll finish up Room tomorrow. Did you know that it's been made into a movie? I just found that out the other day. I'll be interested to see how they manage that since the book is told from a 5-year-old's point of view. Watching: Yep, you guessed it - baseball and football. And The Voice. Reading: Plugging away at The Determined Heart. I'm learning a lot (that Lord Byron - boy, is there a guy who lived by his own rules!) but I'm having a hard time really getting pulled into the book. I think it could have been a little tighter and I would be enjoying it more. I'm going to try to get it finished today because I have a couple of big books I need to read in the next week. Making: I've been far more productive in the kitchen the past few days: rhubarb pie, monster cookies, short ribs, fettuccine alfredo. I even took all of the bread crusts and loaf ends I've been saving and made bread crumbs. Managed, while doing that, to fling bread crumbs and chunks all over the kitchen, down my shirt, into my hair. No one in the room to laugh at me so I had to laugh at myself. Planning: On fully turning my guest room into Miss H's room this week. She'll be back in just a couple more weeks so I need to move some furniture out to make room, clear out that closet and move stuff from the closet in her old room into her new room. I will just get the house fully settled back to having the two kids back in it and they will both move out again. This is my life! 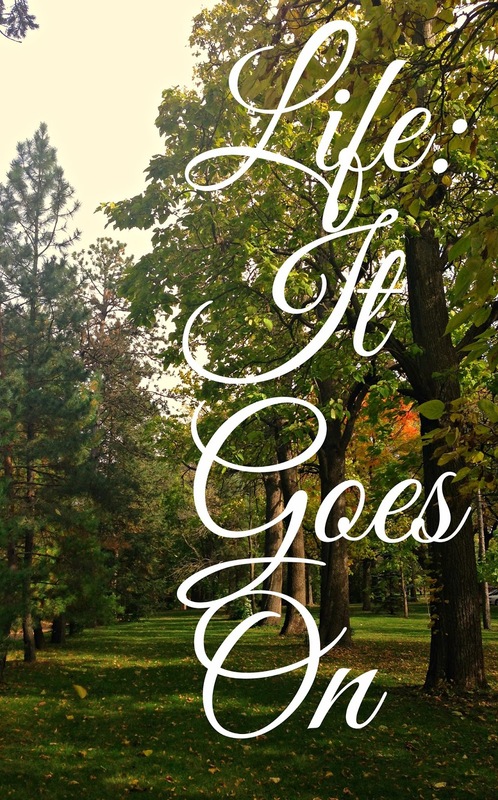 Grateful for: The beautiful fall days we've been having - cool in the mornings, warm enough later to eat outside. Basically, it's the season when we were shorts and sweaters in the same day. Enjoying: Lots of time with friends and family (including brunch today to see my niece who's been out of town for a couple of months and headed back off today) this week, blended with just enough quiet time to keep this introvert content. Feeling: Sore. I keep my stress level during Husker football games down by working around the house. Let's just say, yesterday was a very productive day around here so I should be happy about that. I would rather have had a win. Looking forward to: Omaha Lit Fest next weekend! Emily St. John Mandel, Jennie Shortridge, Joy Castro and whisky tastings - gonna be a good time! How do you move on after losing the person you loved? How do you build a life worth living? Louisa Clark is no longer just an ordinary girl living an ordinary life. After the transformative six months spent with Will Traynor, she is struggling without him. When an extraordinary accident forces Lou to return home to her family, she can’t help but feel she’s right back where she started. 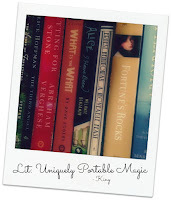 Last year Moyes' Me Before You was one of my favorite books of the year. Which made it a given that I would read After You. Me Before You made readers feel all of the feelings. And tears, oh my goodness were there a lot of tears shed. It was going to be a tough book to live up to for Moyes. But readers clamored to find out what happened to Lou after Will's death. More precisely, readers clamored to know that Lou was going to be okay after Will died. And therein lies the problem. One of the great things about Me Before You was that Moyes' didn't feel compelled to wrap everything up with a tidy ribbon and deliver a happy ending. She left us with just enough to know that it was going to be tough for Lou to move on but that her time with Will had given her what she would need to live her life to the fullest. But if you're going to revisit Lou, you can't come back to her and find that every thing's just peachy. So Moyes gives us a Lou who is struggling. In fact, she may well be in worse shape than she was in when Will came into her life. 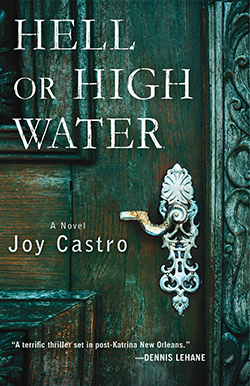 She can't settle into the home that Will's money paid for, her job is terrible, and she's estranged from her family. And she can't move on from Will's death. Enter that link to Will's past, a new man to fall in love with, and more family drama and you've got a lot going on here. Too much. The support group could have been left out entirely and very little would have been lost. And that link to Will's past? Let's just say, some parts of that story line were unnecessary and others were a bit tough for me to buy into. But this is Moyes so After You is a solid read with charm, some really well-written characters, and enough depth to help readers get involved in the story. It's not Me Before You but I enjoyed it. And I'm looking forward to the next chapter in Louisa's life. Because it seems apparent that there will be one. Oops! This is exactly why I cannot try to monetize this blog. I all too often lose track of it when real life gets busy. Miss H, The Big Guy and I made a run to Kansas City this weekend - just an excuse to get out of town and a chance for Miss H to connect with some friends. We did some shopping, ate at our fav pizza place in town, and discovered that it's really hard to find a place to buy alcohol along the Interstate system. Some lesser folks might have given up, but we needed those drinks after our poor Huskers lost again! 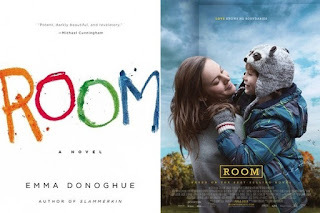 Listening To: I'm about 3/4 of the way through Room and am really impressed with it. 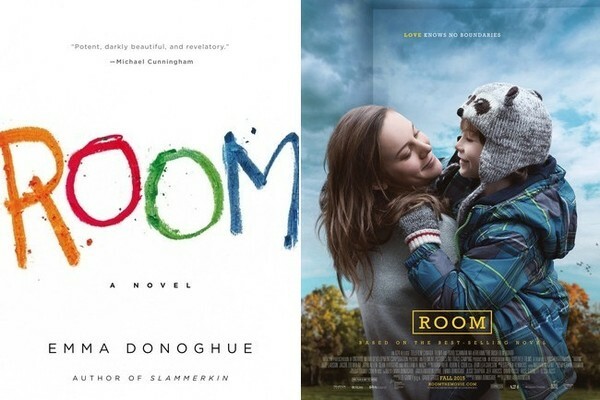 The beauty of waiting to read a book until the buzz dies down is that I couldn't really remember anything more about it other than that it was about a mom and her son held captive in a room. Did not know that they would be rescued less than half way through the book and that the bulk of the book would be about adjusting to life outside of room. Watching: Miss H has no cable or satellite at her rental any more so she's been spending a lot of time with us. Which means we've been watching a lot of baseball. This has resulted in a lot of battles between our baseball lover and those that prefer football. Because heaven forbid someone watch their game on a tv that's not half the size of a wall. 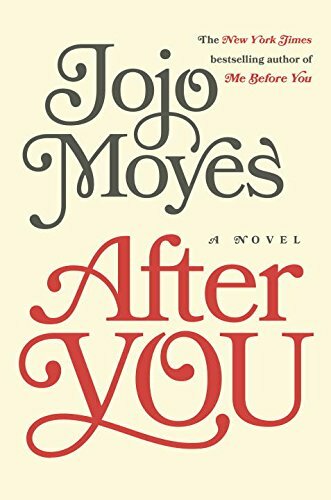 Reading: I raced through Jojo Moyes' sequel to Me Before You, After You. Review tomorrow. 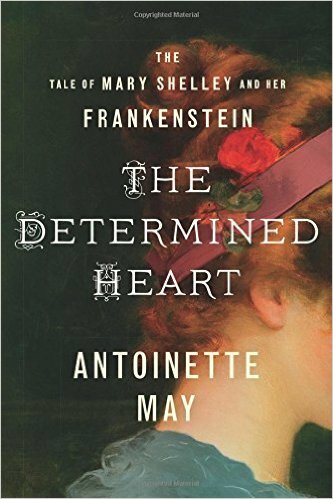 Today I started Antoinette May's The Determined Heart: The Tale of Mary Shelley and Her Frankenstein. Making: Irish nachos, some new cocktails, sweet potato soup, mini-pizzas. It's been a weird week in our kitchen. Planning: I have a lovely list of plans for this week and I've managed to get almost nothing on it done. Because books. It's the FrightFall readathon, hosted by Michelle at Seasons of Reading, and I'm grabbing that excuse to spend a good chunk of the evenings with a book. Grateful for: A husband who's a road warrior - he's always willing to hit the road for a trip and does almost all of the driving. I navigate, now with the help of Siri. This invariably results in a least one heated battle when someone doesn't think he needs to follow the directions he's being given. But we always arrive safely. Enjoying: Some warmer temps again after having to turn on our heat earlier this week. Dinners on the patio are my bliss. Feeling: Anxious. I need to start planning for Miss H's return in a couple of weeks and as much as I'm looking forward to having her here again, all of that stuff coming with her is making me a bit twitchy. Looking forward to: Junkstock this weekend. Nothing I need but it's always fun to get ideas, pick up a few new pieces, and find some new curiosities, like last spring's stuffed armadillo. Beautiful, clever, rich—and single—Emma Woodhouse is perfectly content with her life and sees no need for either love or marriage. Nothing, however, delights her more than interfering in the romantic lives of others. But when she ignores the warnings of her good friend Mr. Knightley and attempts to arrange a suitable match for her protégée, Harriet Smith, her carefully laid plans soon unravel and have consequences that she never expected. This is my third reading, a third copy of Emma but there's no such thing as too much Jane Austen. Besides, look at that beautiful cover! How could I possible pass that up?! Also, I have never had a annotated copy of this novel and I was eager to see what the publisher would add to this beloved classic. Plus, you know, Emma Woodhouse, one of my all-time favorite characters. Emma is a typical (even by today's definition) wealthy, spoiled twenty-one year old who is very concerned with propriety and social standing and who believes she knows more than those who try to advise her, particularly when it comes to matters of the heart. She's a big fish in a very small pond. But Emma is can also be charming, devoted to her father, and a good friend to those she cares about. Sure she's a snob, but she's self-aware enough to know that she needs to try harder to be a better person. And the joy of the book, of course, is that, eventually, she will be. Along the way, readers are treated to Austen's always wonderful satire, social commentary, witty dialogue. 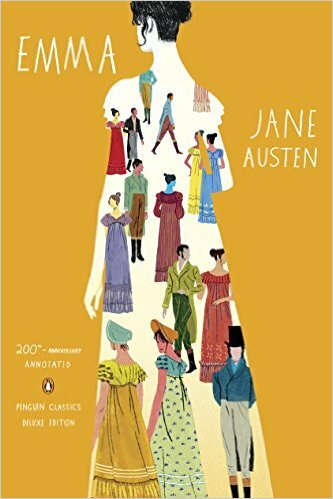 As always, Austen gives her heroine a bounty of colorful characters including Miss Bates who cannot stop talking, Emma's father with his constant worrying, deceitful Frank Churchill, the annoying Eltons. And let us not forget the steady, endlessly patient Mr. Knightley. Characters I always enjoy revisiting. A book I never tire of rereading. Editor Juliette Wells calls this a reader's edition, not a scholarly one. 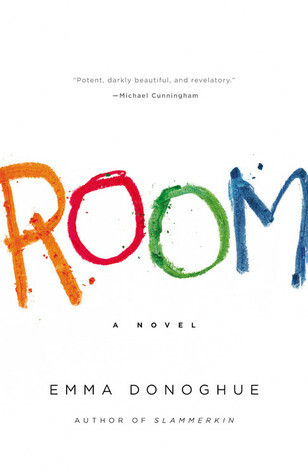 "In other words, the information you'll find here is intended to support your understanding and appreciation of Emma rather than to instruct you in literary terms, theoretical perspectives, or critical debates." She has included an introduction about Austen and her writing, a spelling help page, a glossary and several contextual essays as well a photos of early editions of Emma. It's an edition that will not only aid first-time readers but offers something more to the story for people like me who already consider the book an old friend. "Emma is special because it’s the capstone of Austen’s career as an author. She had already published three novels (Sense and Sensibility, Pride and Prejudice, and Mansfield Park), and she was at the very top of her game as a writer. She didn’t know it, of course, but Emma would be the last book she saw through to publication. When Austen died in July 1817, she left two essentially completed novels (Northanger Abbey and Persuasion), which her brother published at the end of that year. So Emma is the last Austen novel that was published in the exact form that she herself approved. Emma is also special because it’s the most perfect example of Austen’s particular genius as an author, which is (I think) to create a recognizable, engaging fictional world from the slenderest of materials. She writes about everyday life and ordinary people—you won’t find kings and queens in her novels, or ghosts or vampires. Her effects are wonderfully subtle."